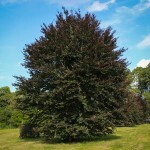 A striking addition to the landscape this massive ornamental tree is best known for the dark purple leaves in spring through mid-summer. 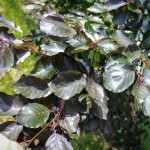 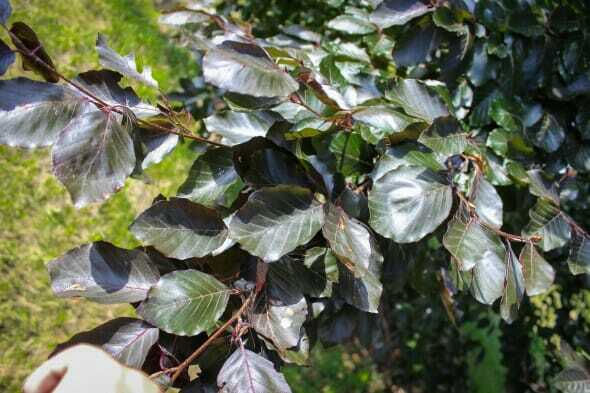 Leaves change to a bronze color by late summer. 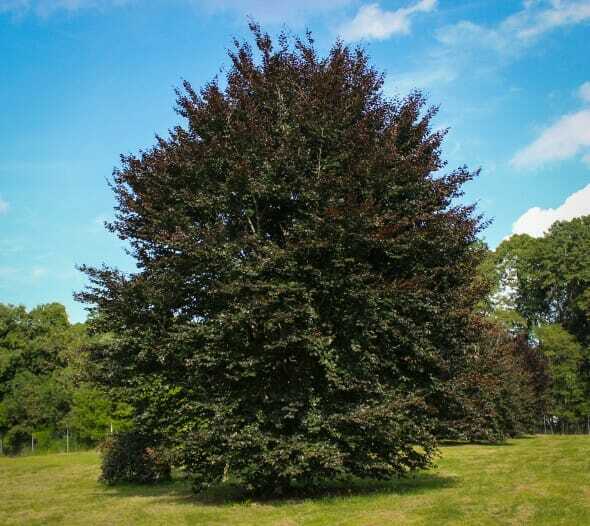 A great park, shade or lawn tree that stands out particularly well against a green backdrop.